The Jade pond fountain resembles an inverted bell with a center jet. This fountain forms a striking cascade that will heavily complement your pond or lake! The Jade Pond fountain resembles an inverted bell with a center jet. 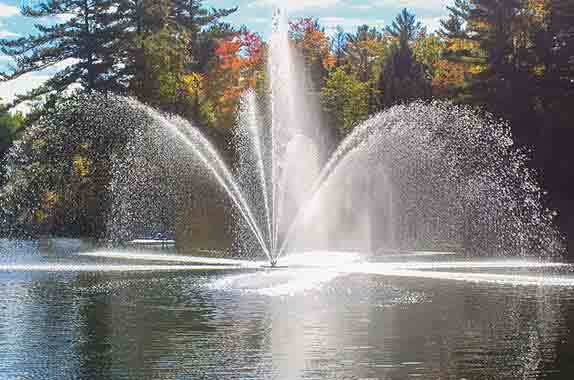 This fountain forms a striking cascade that will heavily complement your pond or lake! This Made in Canada floating pond fountain is sure to capture plenty of attention! All Jade Pond fountain models are powered by a stainless steel; water cooled/ water lubricated submersible motor and stainless steel submersible pump.